Create more market responsive onhold messages with Internet Streaming technology! Voice Marketing matches voice attributes with your brand across all customer “voice touchpoints”. Voice Recording and Translation in Over 80 Languages enables you to deploy professional voice recordings consistently and accurately across all global regions. Be a Cross Selling Machine. Messages-On-Hold™ for selling and educating your customers while they wait for service. Script building services, holiday MOH, bilingual voicing, and more. Marketing Messages creates studio-quality voice recordings dedicated to showcasing your brand’s persona. We help technical and marketing professionals reinforce their organization’s brand by providing professional voiceover services that dramatically improve the customer’s phone and web experience. Our PromptsPLUS ® offering features voice recordings IVR, Auto Attendant and Outbound Dialing applications by 180 Voice Artists in over 80 languages and dialects. Our experienced team of Voice Artists and script writers will create attention-grabbing promotional and informational messages playing over your choice of over 350 musical selections. Let our Voice Artists bring life to your company and product videos by adding expressive narration that connects with your prospects and holds their attention. Enhance your mobile platform or smart device with a compelling voice in any language. Voices Heard Around The Globe. Hear short voice samples for each of our 180 Voice Artists, or request a custom demonstration based on a short script you provide. We take your specific direction on vocal style to emotionally connect to a broad range of customer personas. Our comprehensive, standardized process ensures consistency and accuracy for multi-language deployments – meeting the tight specifications of Fortune 500 corporations and SMBs alike. Learn the subtleties of developing and managing voice prompts for global IVR implementations – download our Top 10 Tips for Multi-Language IVR E-Book. Voices and Messaging Go Hand In Hand. Our Voice Marketing framework is a set of practices and principles for aligning voice messages and attributes with a company’s brand – supported by a variety of services including customer persona analysis, voice talent coaching, custom voice demonstrations, and script review and analysis. Looking for a more complete telecom, call center, or marketing solution? We work with dozens of providers nationwide! Learn how to select and work most effectively with voice talent contractors and firms. Learn how financial services organizations use professional voice talents for their phone-based systems to more effectively connect with their customers. You've heard our Voices at thousands of companies - including 200 of the Fortune 500. 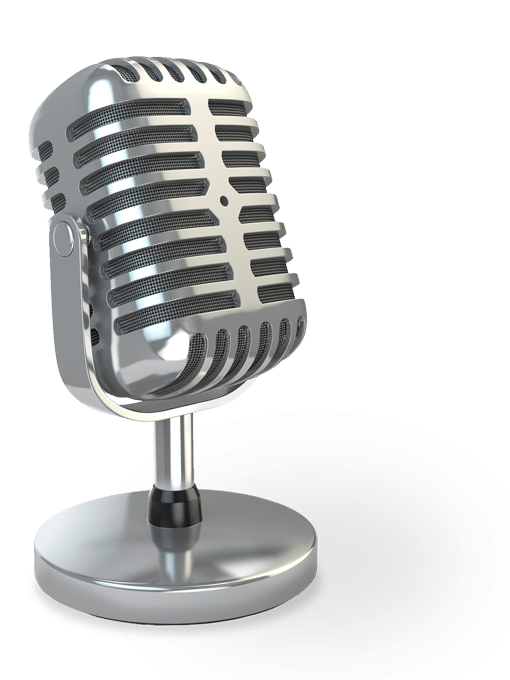 Why Employ a Professional Voice Recording Firm? There are many options for voice recordings in the marketplace. They range from independent contractors to voice recording brokers (low service matchmakers) to full service providers. We believe that full service voice services firms offer the most comprehensive, end-to-end offerings for voice recordings. “Full service” means that we work with our Voice Artists throughout the entire voice recording process – including scripting, editing, file naming/distribution/archiving, and post-sales support. A more consistent, professional caller experience – A trained voice talent sounds more professional and is adept at maintaining a consistent style, tone, and volume when voice recordings are updated. Enhanced brand image – Using the same professional voice across all voice-enabled systems reinforces the brand and builds familiarity with customers. Better use of resources – Internal resources get promoted, transferred, terminated, etc., – and adding replacement voice recordings to an existing system results in an inconsistent voice interface. Reduce administrative hassle – Employing a professional voice recording firm eases the administrative burdens of coordinating recording schedules/deadlines for customers with multiple systems, locations and languages. In addition, professional voice recording firms tend to establish long-term relationships with only the most highly-trained and career-committed Voice Artists in the industry. This ensures high quality and consistent branding over time.